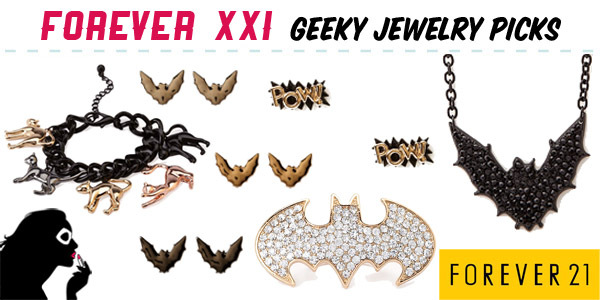 Following up last week’s post highlighting our favorite licensed geek apparel available at Forever 21, today we’re sharing our favorite geeky jewelry that can also be had there. Ranging from licensed to conveniently themed jewelry, you’re sure to find something to add that finishing touch to your geek chic look, at a great price! PLUS, right now Forever 21 is running a jewelry BOGO sale on select pieces, which include some of the ones we’ve listed here! This deal runs until January 27th. You can check out the full list of jewelry included in the BOBO sale here. No code required!